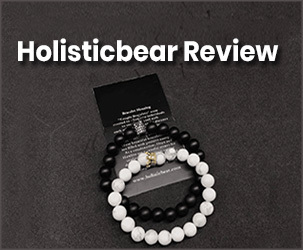 Read the latest Holistic Bear review. Holisticbear truly believes in the art of giving to their beloved ones. It could be your beautiful lover, best friend or Family member. The process of giving never fade away literally. Generally, the human race spreads love and takes care. Founder of holisticbear is Kanase. He was entirely lost in his path. Later a special person has entered his life. she changed his life by taunting, staying positive and Building a stronger relationship. At that moment kanase decided to help many other couples who have gone through tuff paths which can be able to improve their relationships. 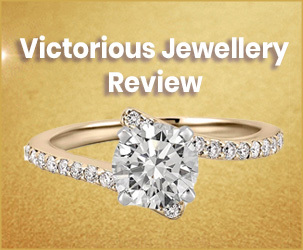 Holisticbear.com sells different type of products like Bracelets, Bundles, Clothing, Necklaces, Personalised accessories, Phone cases, Rings and watches. These holistic bear bracelets were classified into 31 different types such as Crown stacked bracelet, Crown lover bracelets, Crown stacked bracelets, Distance bracelet, Couple charm bracelets, Key stacked bracelets, Crystal king & Queen bracelets, Pineapple Lover bracelets, Crown stacked limited edition bracelets, Beads edition bracelets, You complete me, Crown stacked bracelets limited edition, Couple lover bracelets, Crown lover bracelets of premium edition, Friendship bracelet, Love bracelets, Lucky stone couple bracelets, Crown chakra bracelets, Obsidian couple bracelets, shield lover stacked bracelets, King & queen crown bracelet, Custom name bracelet, Boy & girl stacked bracelets, Engraved leather bracelets, Cupid lover bracelets, For you & for me couple bracelets, Key Lover stacked bracelets, Prince & princess bracelets, Natural charm bead bracelets, Initial engraved bracelet and Couple's zodiac bracelets. This crown stacked bracelet is priced at $19.99 USD. Crown stacked bracelets are one of the unique bracelets everyone should be wear. You can gift these bracelets to special persons or individuals. This type of bracelets brings positivity, affection, and romance into your relationships. We know that only a strong relationship supported by the most reliable base. Crown stacked bracelets beings required elements to stay together. Stack bracelets consist of two kinds of bracelets. The bracelet circumference has roughly 7 inches which are elastic. This band is made to fit for most of the people. This holistic bear crown bracelets are made up of high-quality materials and feel good while wearing. Holistic bear distance bracelets allow individuals to feel connected to each other. Just keep a distance apart from loved ids so hard. You can gift it to your Mom, Daughter, Sister, Friend or anyone else. With this package, you will receive two bracelets like One white vein bracelet with one black bead and One matte black with white vein bead. These bracelets are limited editions. This size of the bracelet is in between 6-6.5 inches. You can also shop for clothing products such as Beauty & beast Hoddies, Bonnie & Clyde, If lost return to babe shirts, King & queen caps and so on. Before placing an order check Holistic Bear coupons, to get a discount on your purchase. Holistic bear customer service works hard to serve you. If any customers are facing issues regarding their products can contact them by texting or making a phone call at (424) 501-4395. You can shot email at [email protected] But this company is currently offering message service only. Dealing with top brands and websites, Curated Deals helps in saving money through a comprehensive listing of reviews on the products. With a bunch of enthusiasts, Our team focuses on giving the latest ongoing deals and also guide one for making the smart choice.